In January 1917, Professor Henry J. Fletcher launched the Minnesota Law Review with lofty aspirations: “A well-conducted law review . . . ought to do something to develop the spirit of statesmanship as distinguished from a dry professionalism. It ought at the same time contribute a little something to the systematic growth of the whole law.” For the next forty years, in conjunction with the Minnesota State Bar Association, the faculty of the University of Minnesota Law School directed the work of student editors of the Law Review. Despite their initial oversight and vision, however, the faculty gradually handed the editorial mantle over to law students. 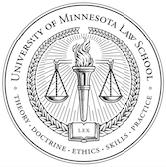 Keep up with the Minnesota Law Review on Twitter and YouTube.